Right. Owning an arcade machine is not always straight forward and the nature of things being old and well used can rear their ugly heads from time to time. A Mortal Kombat pcb I purchased recently demonstrated that in frustrating abundance. 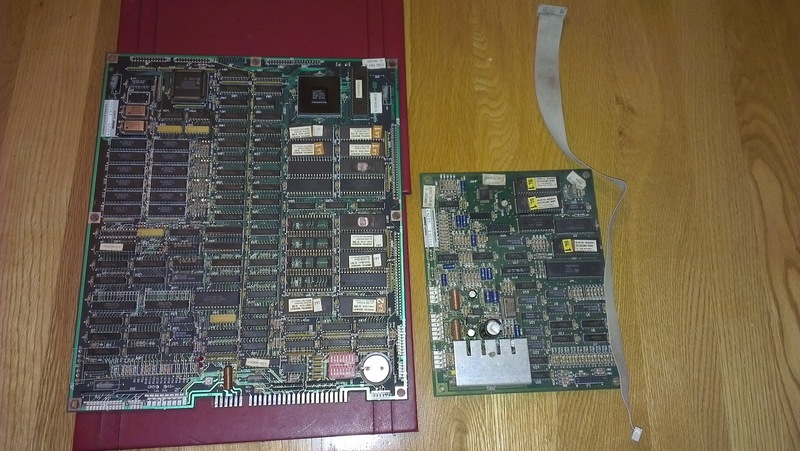 I bought a supposedly complete MK1 pcb around Christmas time. I only intend to own a few pcbs, MAMEing the rest, and with the Mortal Kombat series being some of my favourites I was really looking forward to getting this up and running. I received the board promptly and well packaged but it was missing a cable, namely power/sound. So needless to say when I fired up the game for the first time I had no audio. Ok, so I need a replacement cable and I'm good to go. Right? Wrong!